On 19th January we paid tribute to David Bowie. None of us here at Iguana HQ were massive fans of ‘The Thin White Duke’, but it is fair to say he was one of the most influential musicians of the last 50 years – so hats off. He was often described as a chameleon, which is missing the point slightly. Chameleons change their colours to blend in. 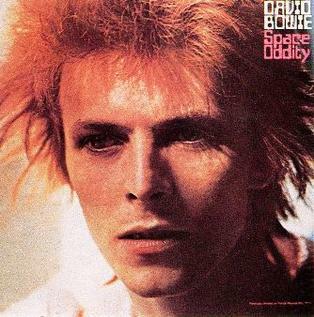 Bowie changed his couloirs to stand out – and others changed their colours to copy him. For us at Iguana, he had not recorded anything that really flicked our switch for over forty years, but some of his early work was absolutely spot on. Changes, Suffragette City, Gene Gene, Space Oddity, Rebel Rebel – all timeless classics. For other generations there will be other periods of his work that did it for them. The point being, everyone out there will like at least one Bowie tune, if not more. Not many artists can claim that. Then of course there were the collaborations with the likes of Iggy Pop, Mott the Hoople and the movies he made. And it goes without saying, we also spun a selection of new choonage and songs relating to other things going on in the world. Listen again by going to the cloudcast below.